On 10th April 2015, I had a quick look at the small garden pond belonging to our neighbours, John and Emily Ross, at Nedd (NC1331), which earlier in the year contained at least 50 clumps of frogspawn. 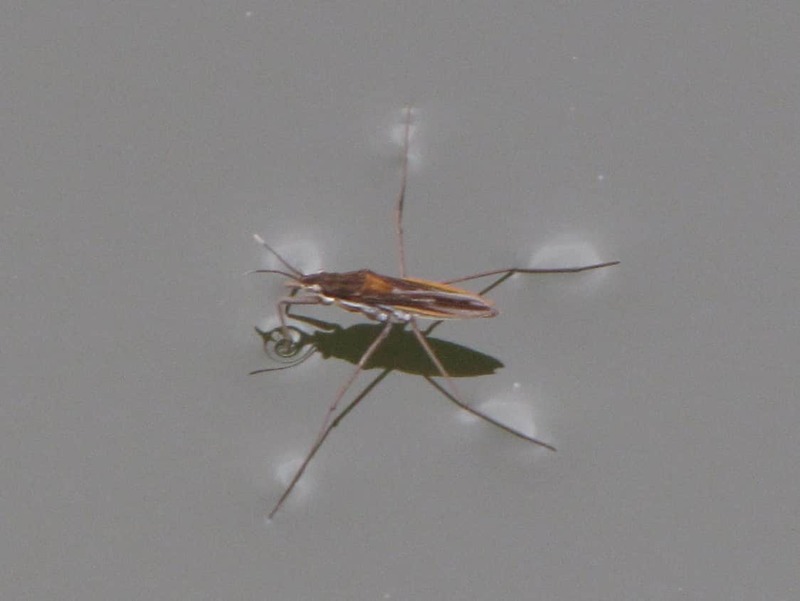 There were tadpoles in plenty, but also a lively raft of pond skaters Gerris sp. The identification of these water bugs requires close examination, so I collected one. It proved to be a moorland pondskater Gerris costai, typically found on small moorland pools. The photographs are of what I take to be males; the females are darker and larger (up to 13mm). Adults hibernate on land and then, in the spring, fly to suitable water bodies to find mates. 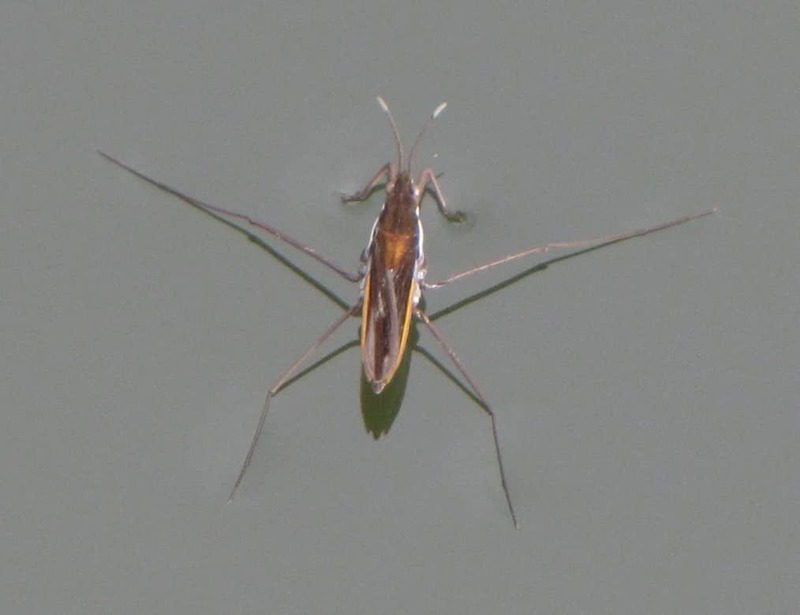 They prey on insects trapped on the surface of the water, grasping them with their front pair of legs, whilst the middle pair are deployed as oars and the hind pair as trailing rudders. A dense coat of water-repellent hairs covers the whole of their bodies, apart from the ends of their legs, which dimple the surface film. The moorland pondskater is found right across the Highlands, but this may be the first record from Assynt.